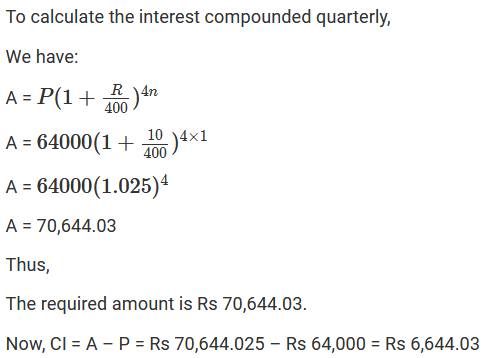 What will be the compound interest on Rs 4000 in two years when the rate of interest is 5% per annum? 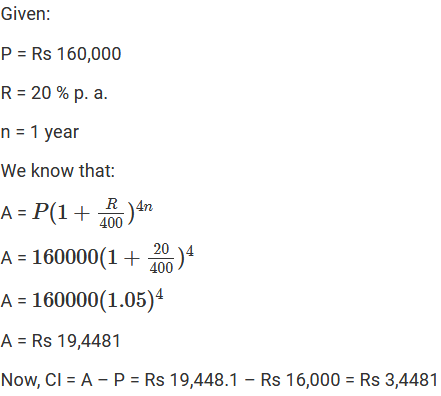 Find the compound interest on Rs 1000 at the rate of 8% per annum for 1(1/2) years when interest is compounded half-yearly. 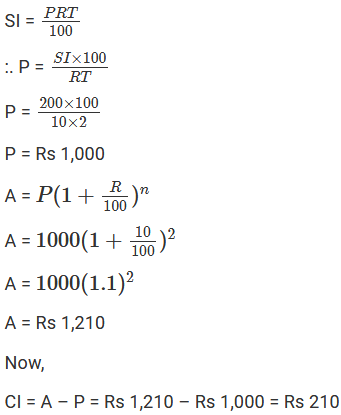 Swati took a loan of Rs 16000 against her insurance policy at the rate of 12(1/2)% per annum. 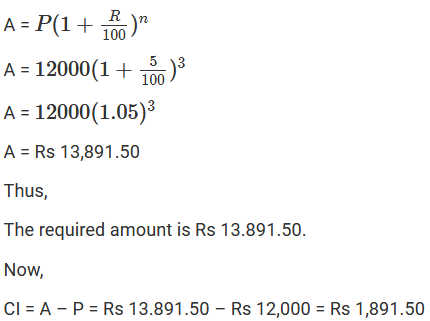 Calculate the total compound interest payable by Swati after 3 year. 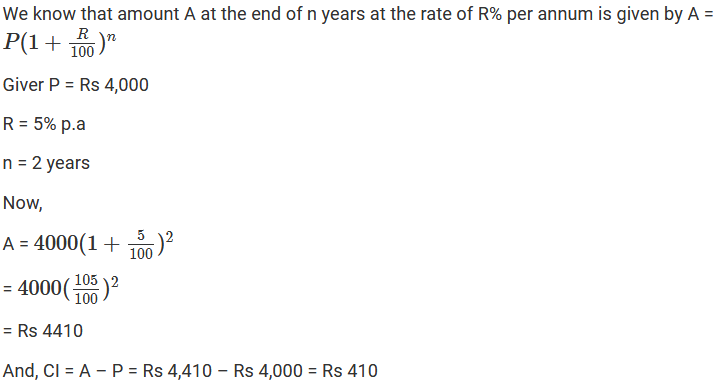 Roma borrowed Rs 64000 from a bank for 1(1/2) years at the rate of 10% per annum. 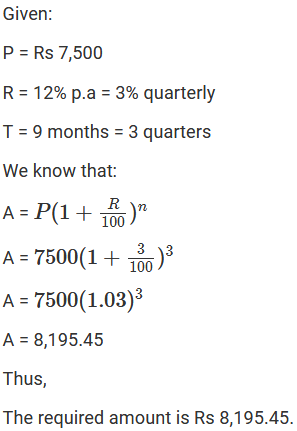 Compute the total compound interest payable by Roma after 1(1/2) years, if the interest is compounded half-yearly. 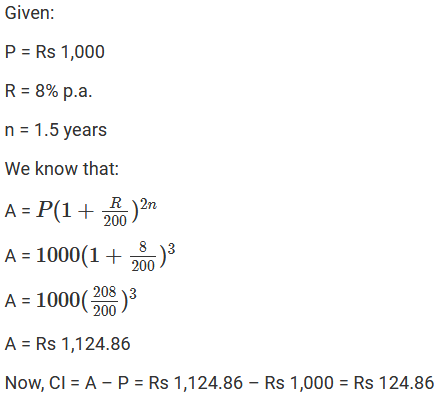 Find the compound interest at the rate of 10% per annum for two years on that principle which in two years at the rate of 10% per annum gives Rs 200 as simple interest. 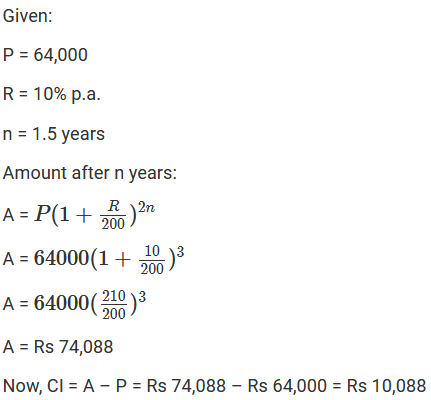 Find the compound interest on Rs 64000 for 1 year at the rate of 10% per compounded quarterly. 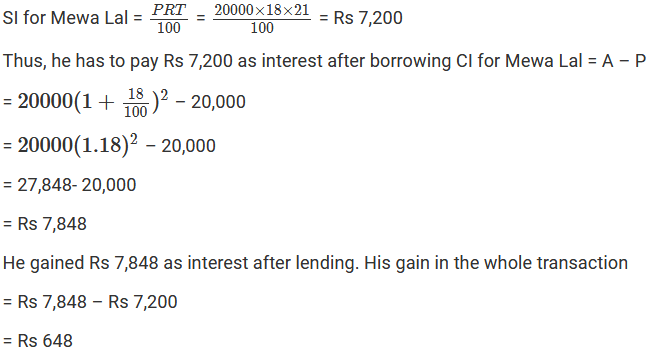 Ramesh deposited Rs 7500 in a bank which pays him 12% interest per annum compounded quarterly. 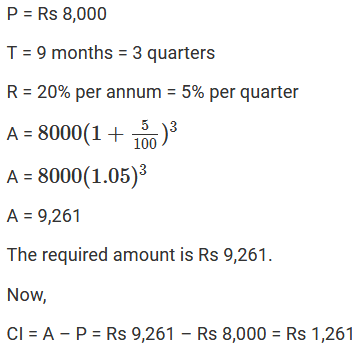 What is the amount which he receives after 9 months? Anil borrowed a sum of Rs 9600 to install a hand pump in his dairy. 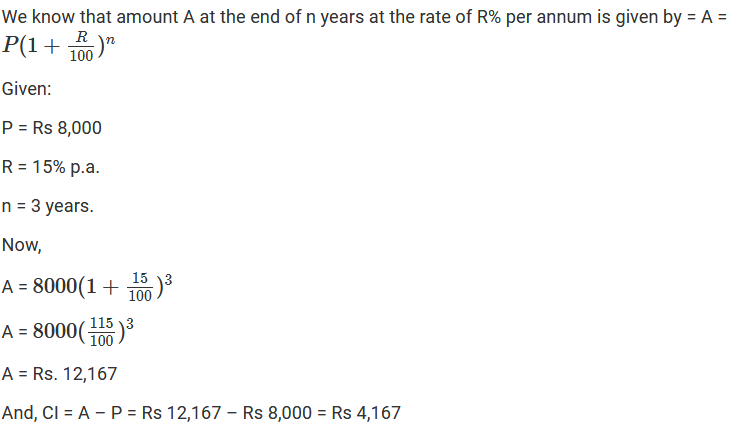 If the rate of 1 interest is 5(1/2)% per annum compounded annually, determine the compound interest which Anil will have to pay after 3 years. 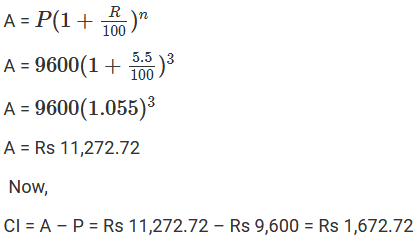 Daljit received a sum of Rs. 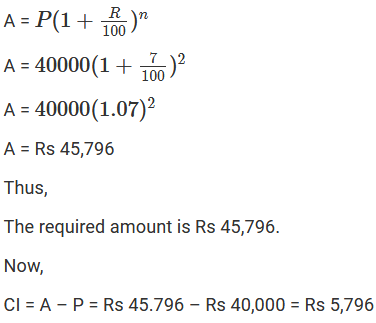 40000 as a loan from a finance company. 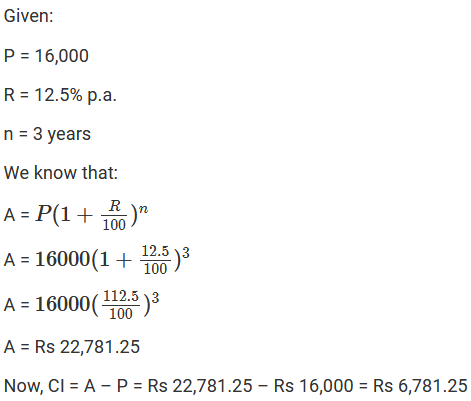 If the rate of interest is 7% per annum corn compounded annually, calculate the compound interest that Daljit pays after 2 years.